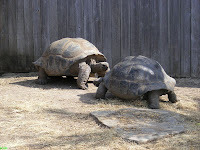 We finally got to see the baby Galapagos tortoises that came with a big bang last fall. They are adorable…tiny and clumsy on their little feet, is hard to believe they will grow to weigh almost a ton! The hatchlings are on display inside the Aquarium, and as a bonus, next to them is a pair of Komodo Dragons juveniles that were born at the Los Angeles Zoo. Biggest surprise of the century! 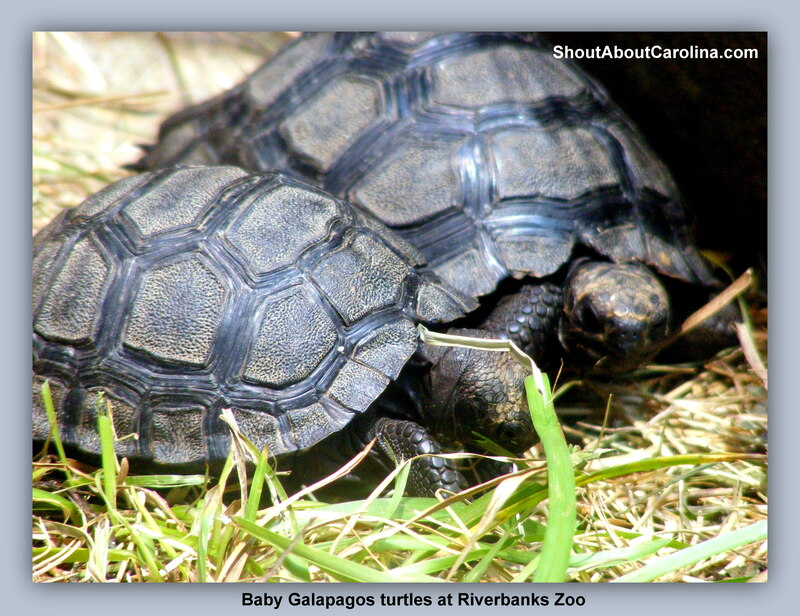 100 years old Galapagos turtles giving birth at Riverbanks Zoo. 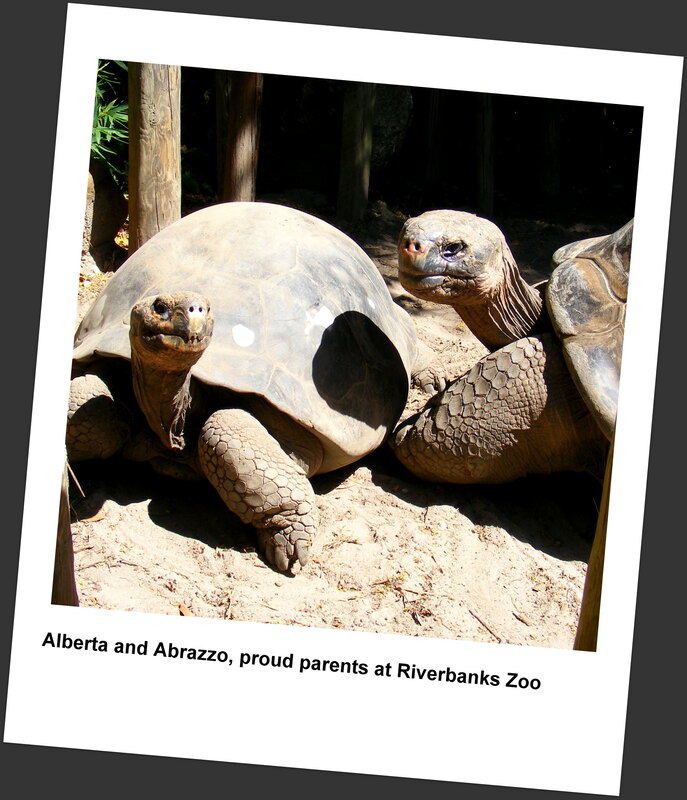 Here are the proudest parents at the zoo: mom, Alberta, came to the United States in 1951 as an adult and dad, Abrazzo, arrived in 1928, also as an adult. Riverbanks Zoo acquired the pair in 1995. Both are believed to be over 100 years old…love is truly timeless. While at the zoo be a dare devil and try your acrobatic skills at Sky-High Safari, a 44-foot high vertical ropes challenge ($7 per climb, $5 for members). 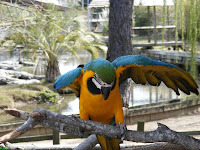 The Alligator Adventure zoological park is a must see family attraction when you visit North Myrtle Beach. 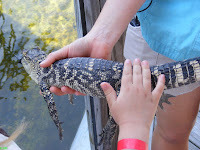 Housed in the beautiful Barefoot Landing shopping center right in front of famous live music hangout The House of Blues the self-proclaimed “Reptile Capital of the World” is a guaranteed couple hours of wild, educational and fun times for the entire family. 1. 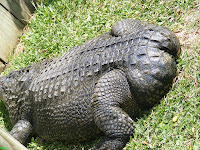 Avoid “the alligator fatigue” (there are hundreds of them spread mostly at the front of the zoo) and start your tour at the other end where you see some of the park’s unique specimens. Here you’ll meet the park’s most beloved guest, Bob, the alligator without a tail. Born right here at the zoo he is well taken care off. 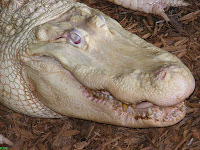 Check out “The Swamp White Ghost” albino alligator. Legend says it will bring you good luck if you see one in the wild. Other notables: the fake Gharial and the real funny looking chinese Alligators. You can also catch a glimpse of live medical action at the animal hospital. As you can imagine the first feeding days are quite animated. 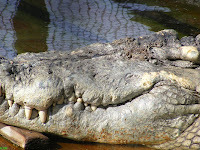 Best time of the day is between 11:00 AM (first feeding) and 1:00 PM (when Utan, the King of Crocs eats). Feeding shows are every 2 hours. 3. Young kids have a blast at the Reptile Show when they can pet snakes, turtles and a baby alligator. Nearby is a snack food stand. If you promise them ice cream they will wait quietly for the show to start. 4. The giant Galapagos turtles are also very popular with children of all ages. The “big puppies with shells”, love attention and are always on the move. Charlie the male turtle is about 450 pounds. At 40 years old he is considered a teenager, just barely ready to mate. 5. You can get your second day at the park for free. Make sure to check your ticket at the gate before you leave. You can also save a buck or two if you buy your ticket online ahead of time. Utan, The King of Crocs is by far the park’s main attraction. At 20 feet long and weighing in at more than a ton, he is the largest crocodile to ever be exhibited in the United States. In case you’re wondering his jaws bite pressure is a mind boggling 5 tons PSI! If you want to see more photos with Utan check out this post. 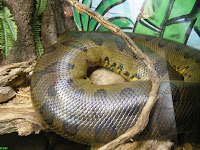 The fully air-conditioned reptile amphitheater, considered one of the best reptile houses in any zoological park, houses an impressive assortment of exotic snakes, like the giant Green Anaconda. The world’s largest snake it can reach an estimated maximum length of over 37 feet. 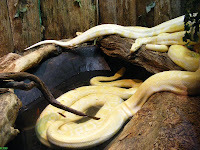 Other cold-blooded cuties are the Retriculated Python (which rivals the Anaconda in size and occasionally preys on deer), the beautiful Green Mamba and the magnificent albino Phyton. The colorful blue and gold macaw may chat with you if they are in a good mood. Alligator Adventure, Hwy 17 at Barefoot Landing, North Myrtle Beach SC. Phone: (843)-361-0789. Admission Tickets: Adults $16.95, Seniors $14.95, Children ages 4-12 are $10.95. Discounts are available, and children 3 and under get in Free. 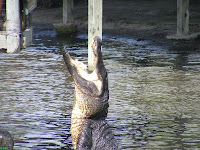 Check out some funny videos I took during my 2008 Easter visit: Alligator Leaping to Get Food and Coming off the water gators find a sunbathing place”. Just came back from another Myrtle Beach vacation. Guess what else I’ve discovered? “The Beast Place in Myrtle Beach” aka Waccatee Zoo – the weekend fun thing to do! It’s just 15 minutes drive from the Grand Strand, and admission is only $12 ($4 for kids). Here are all the juicy details (like a video with a long horn hooking a poor emu!). And you thought Alligator Adventure in North Myrtle Beach it’s just about alligators! These grannies are sure to steal the thunder once they get moving.